In the past, the examination of myth has traditionally been the study of the ""Primitive"" or the ""Other."" More recently, however, myth has been increasingly employed in movies and in television productions. Nowhere is this more apparent than in the Star Trek television and movie franchise. 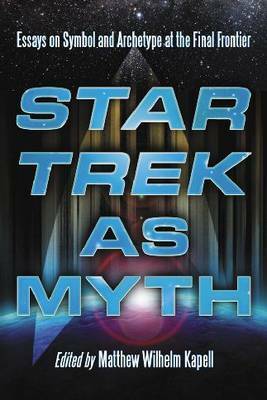 This collection of essays on Star Trek brings together perspectives from scholars in fields including film, anthropology, history, American studies and biblical scholarship, and examines the symbolism, religious implications, heroic and gender archetypes, and lasting effects of the Star Trek ""mythscape. Matthew Wilhelm Kapell teaches American studies and humanities at San Jose State University. He lives in San Jose, California.